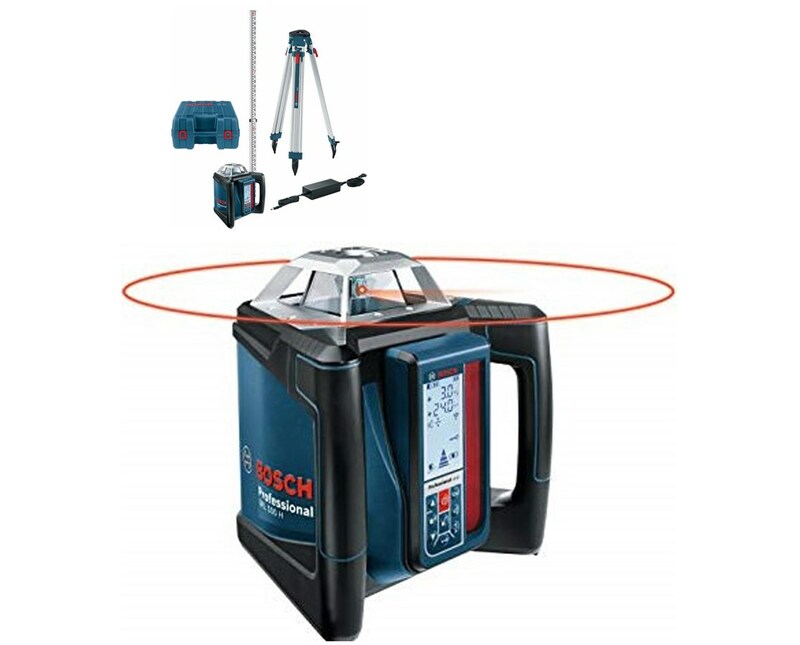 With a fully automatic dial-in grade with a center line mode, the Bosch GRL 500 HCK Horizontal Self-Leveling Slope Rotary Laser Full Kit can perform automatic searching and positioning of the laser beam on the receiver. 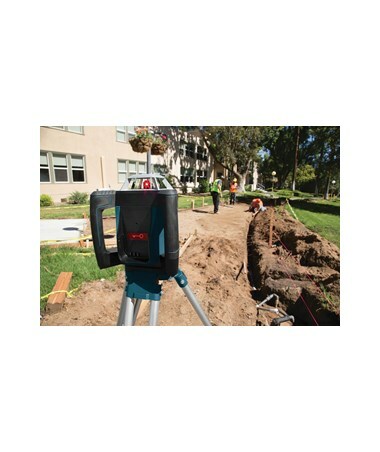 With a range up to 1,650 feet with a laser receiver, the GRL 500 HCK is ideal for exterior applications including setting elevations, interior fitting installations, footings, foundations and the like. 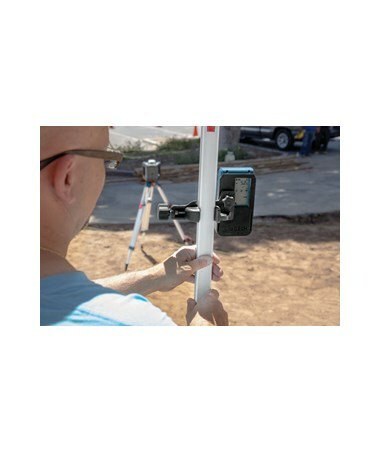 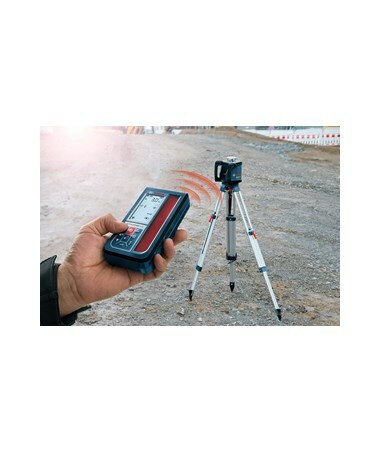 This construction laser offers an accuracy of ±1/16 inches at 100 feet and is self-leveling within ±6 degrees. 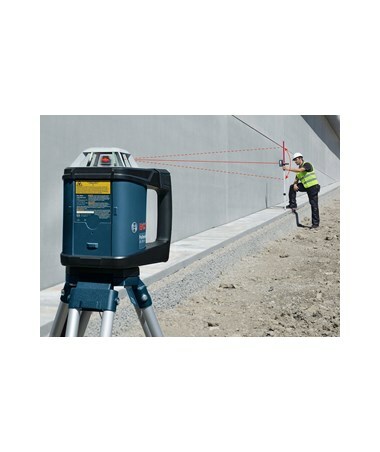 The GRL 500 HCK rotary laser comes with a rotation speed of 600 rotations per minute. 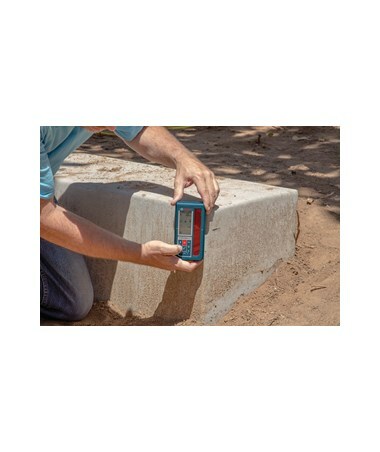 With a 15-second average leveling time, using this self-leveling laser is time efficient and cost-effective. 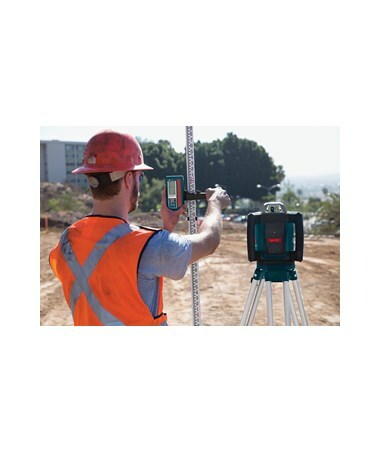 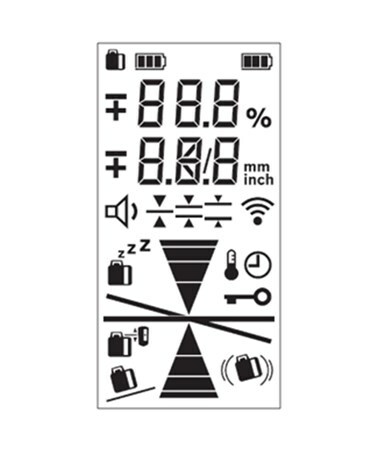 Also, it features a shock warning function that keeps the laser from leveling when there is a change in slope or heights. 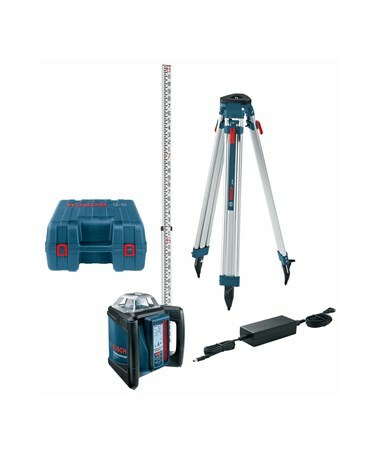 Plus, it includes an anti-theft protection that automatically locks the tool when the receiver is removed. 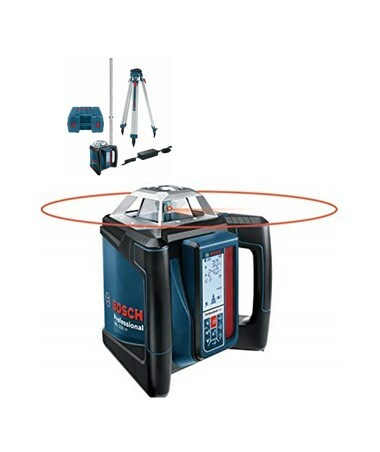 Having a robust metal protective cage, this Bosch laser can withstand a drop up to three feet. 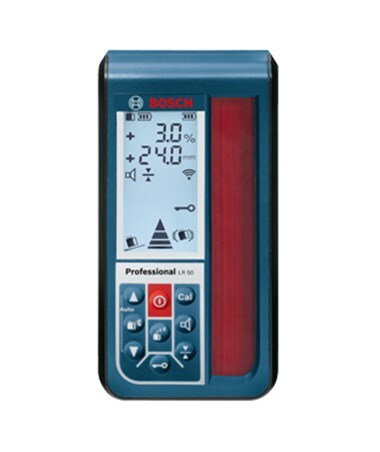 Also, it is dustproof and water resistant (IP56). 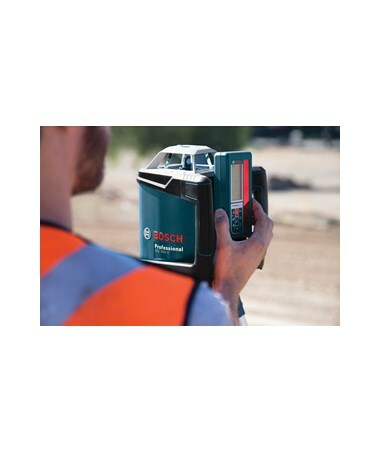 Using Li-ion rechargeable batteries, this rotary laser can operate up to 25 hours. 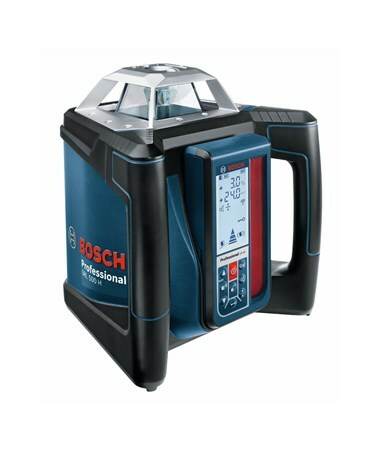 It can also be fully charged within three hours. 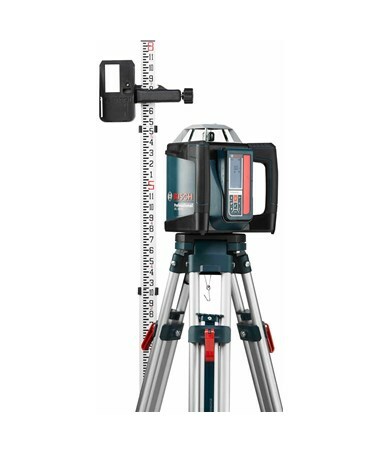 As an additional feature, it includes a 5/8-11 tripod thread.